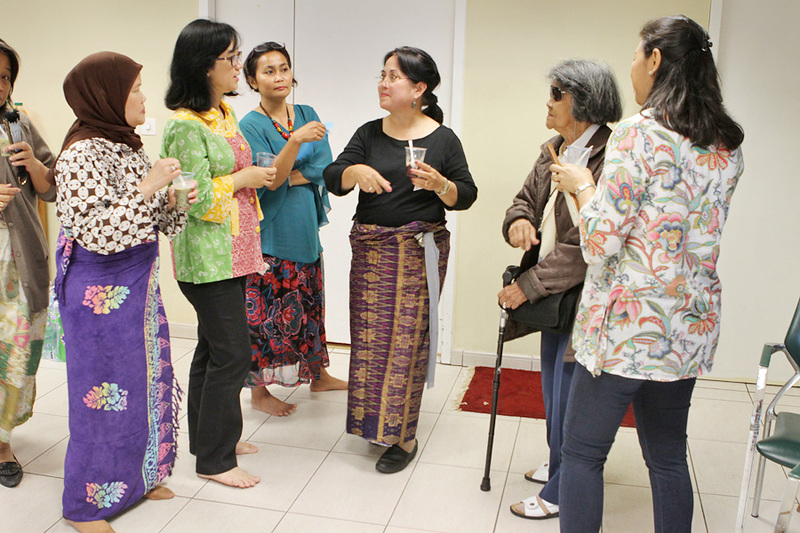 “Call me Biang, it means mother or aunty.. ” she said… with the calm voice and in a very informal manner, she introduced herself to us. 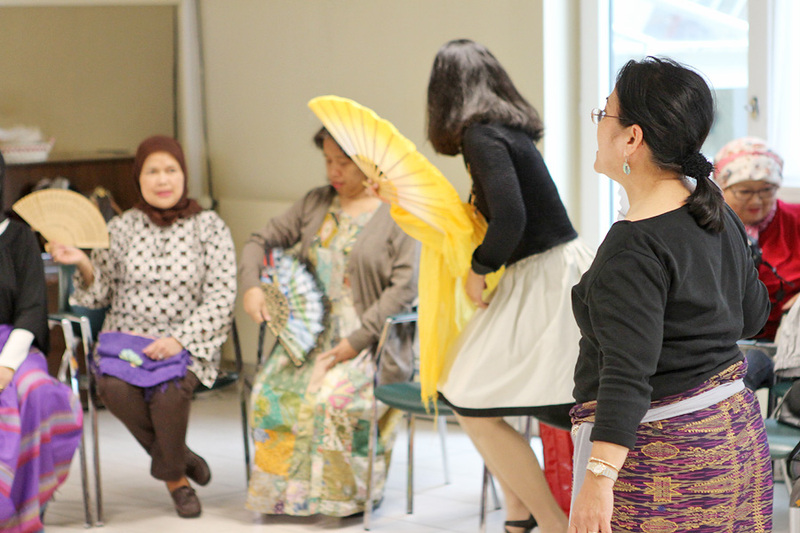 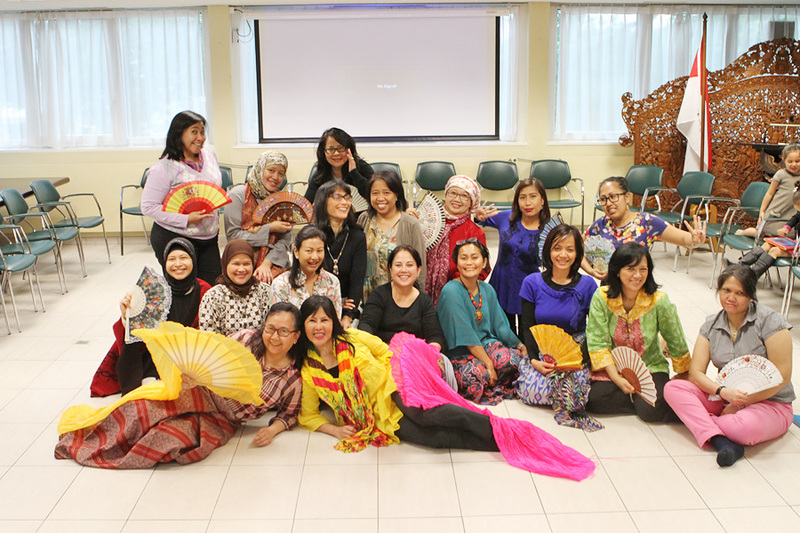 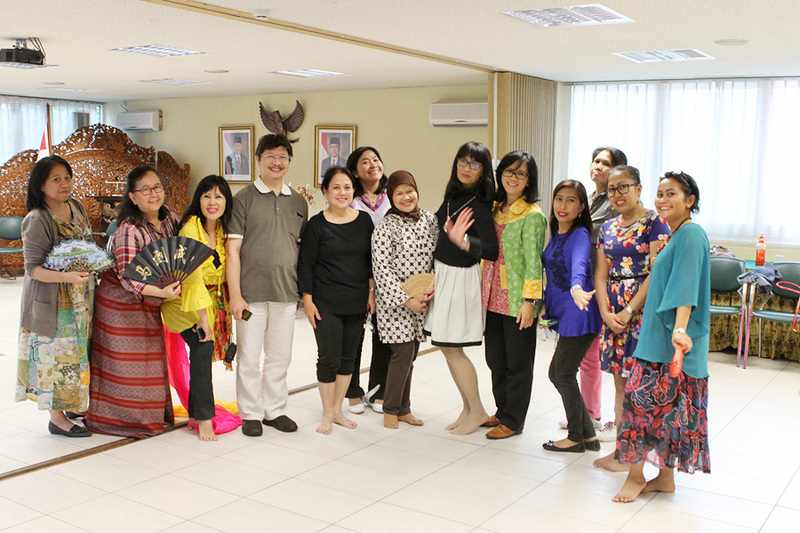 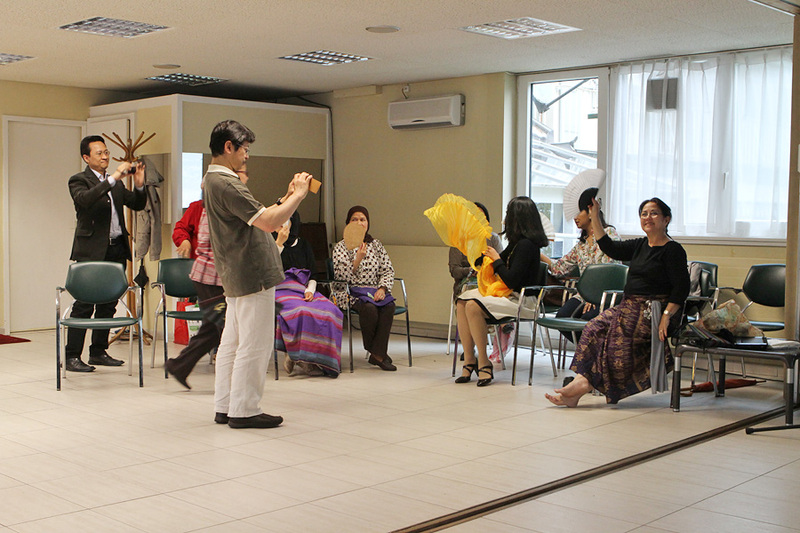 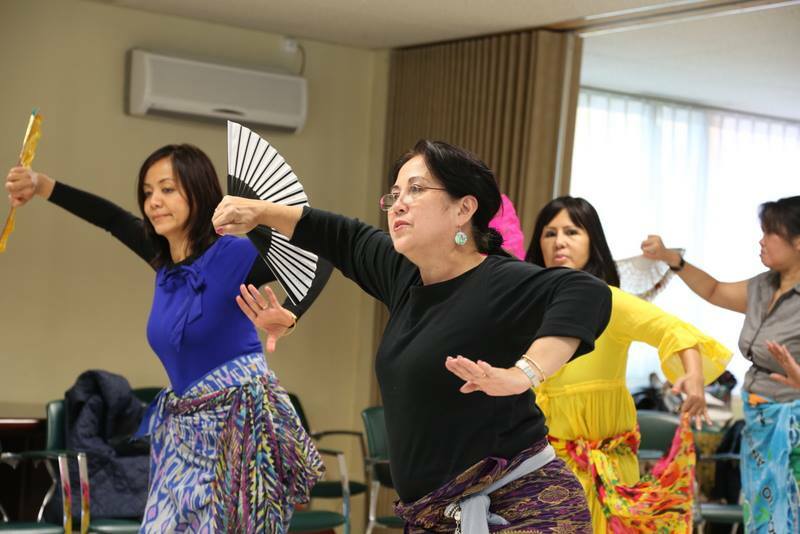 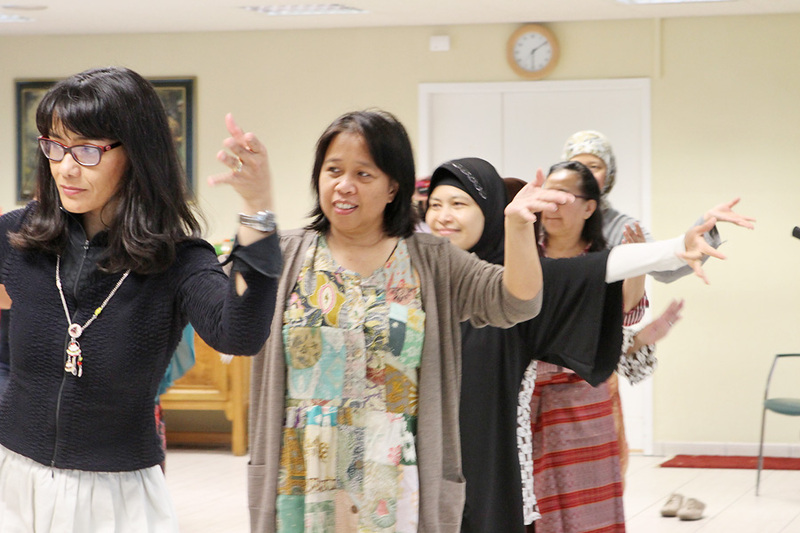 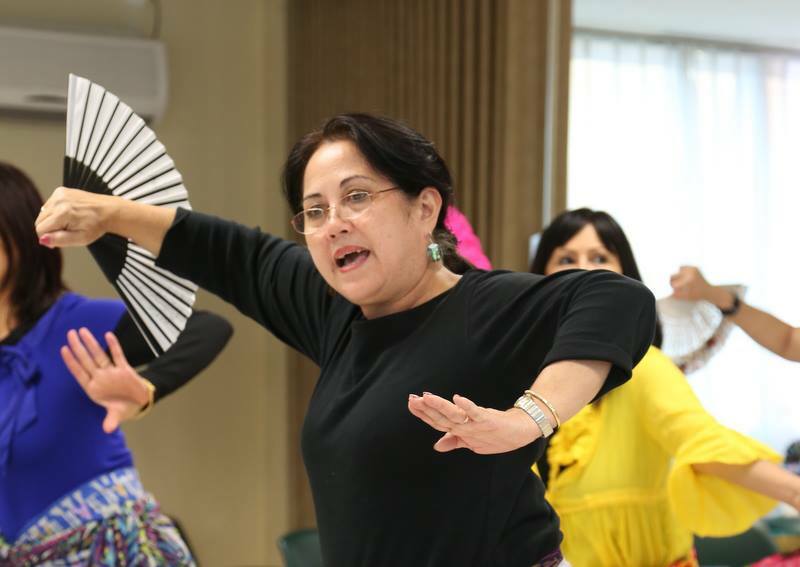 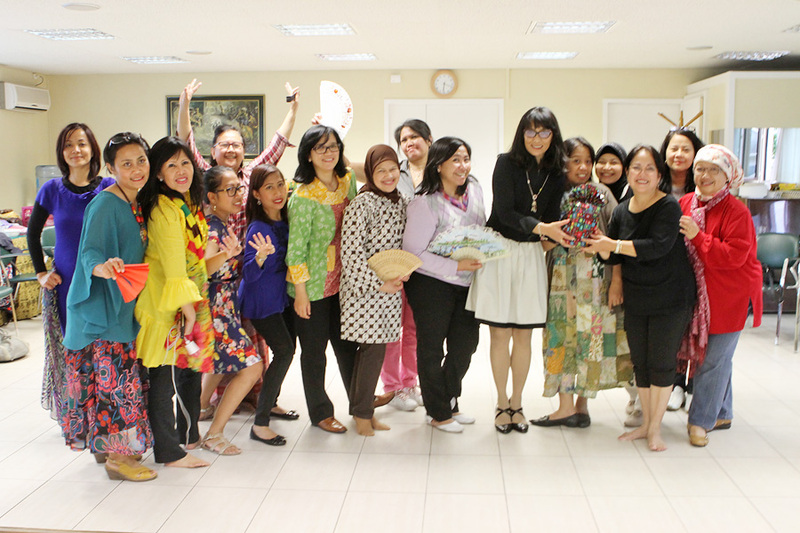 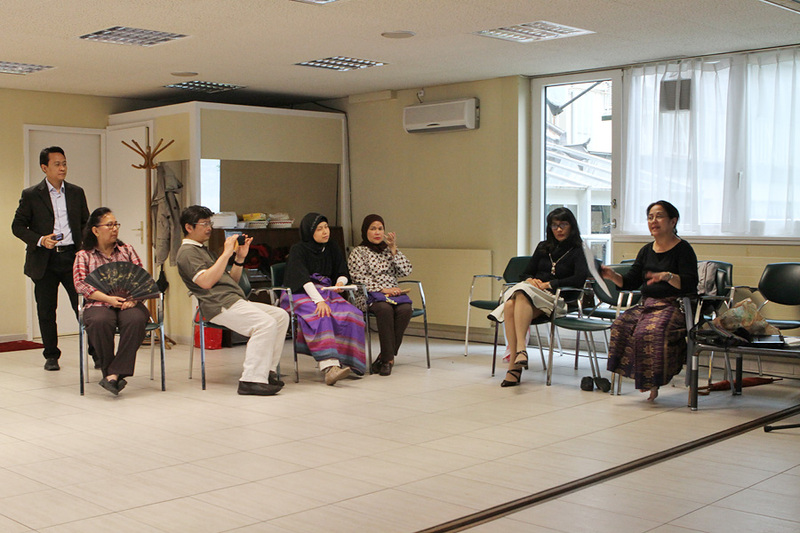 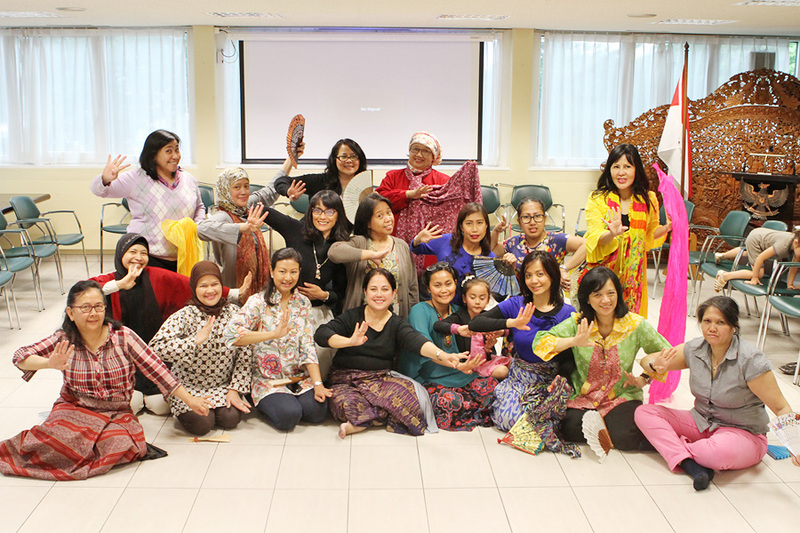 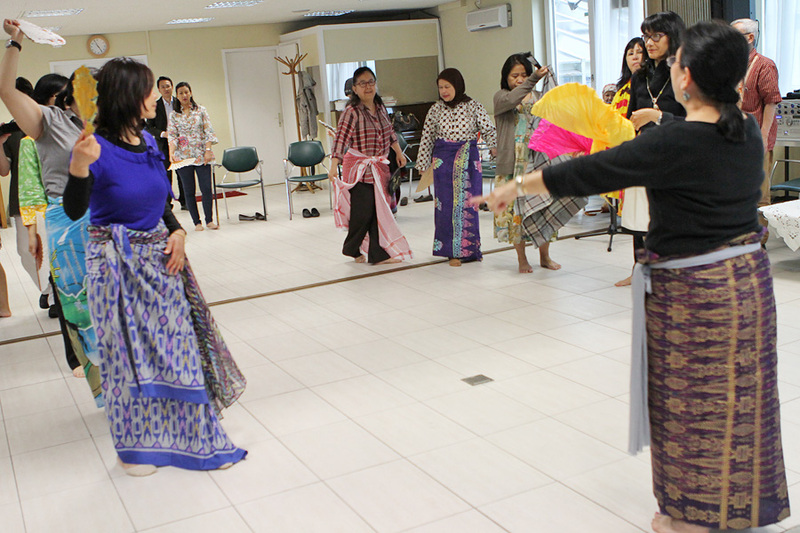 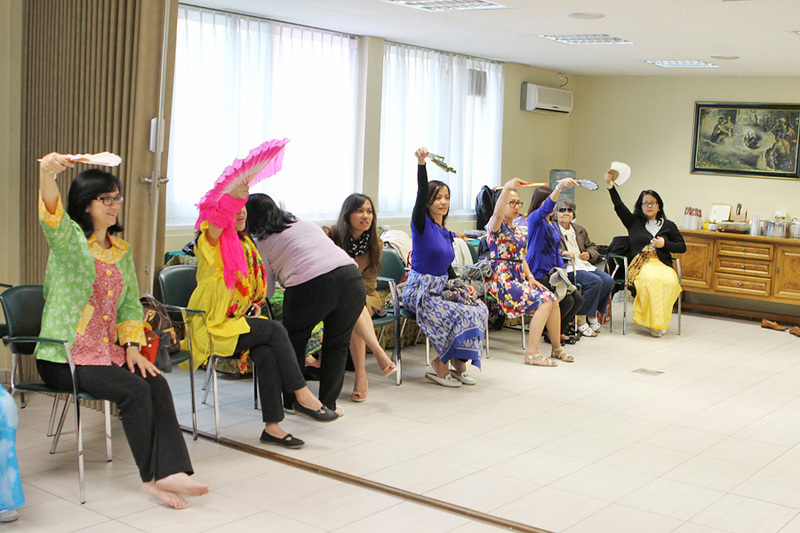 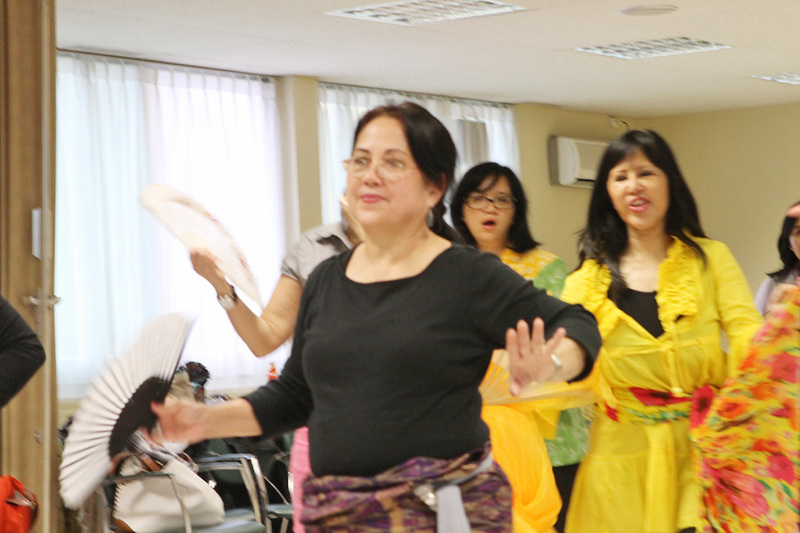 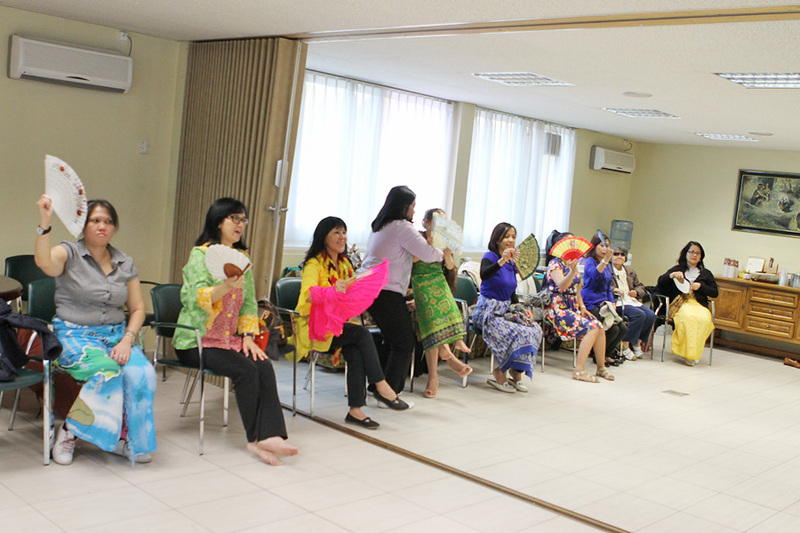 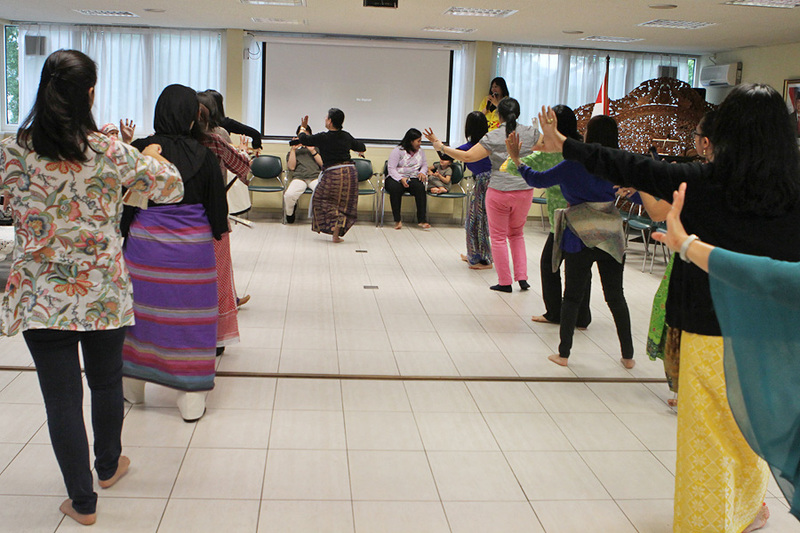 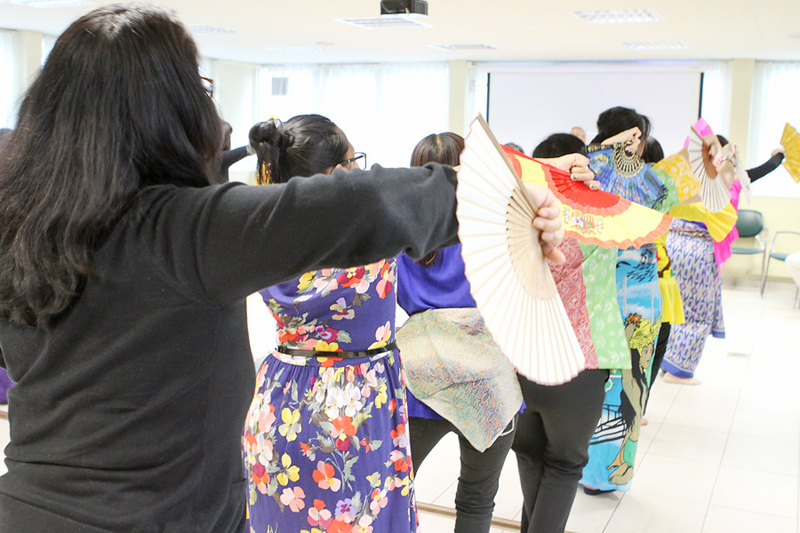 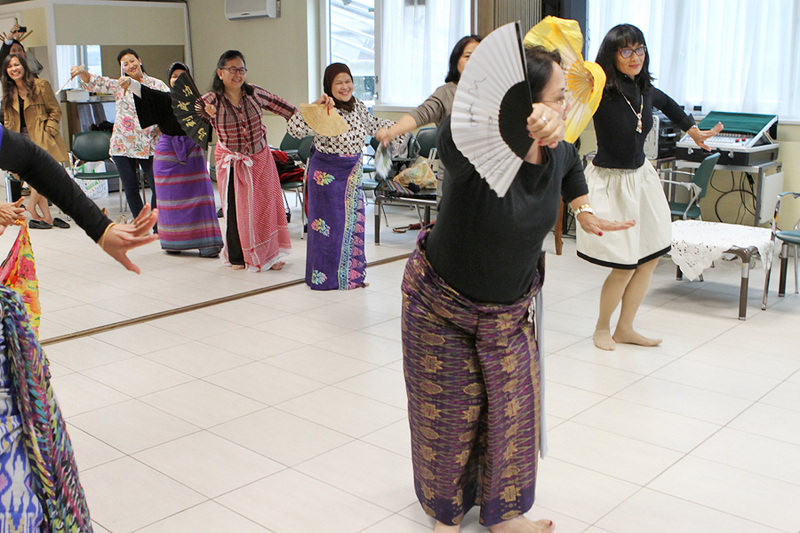 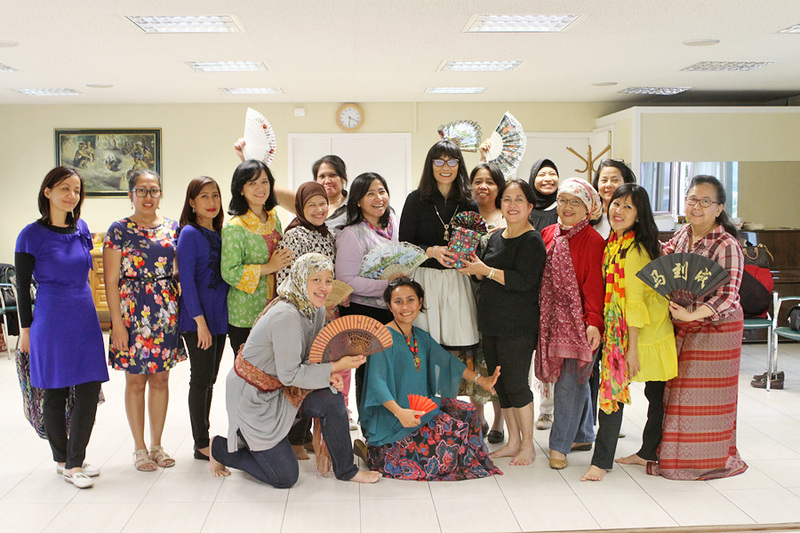 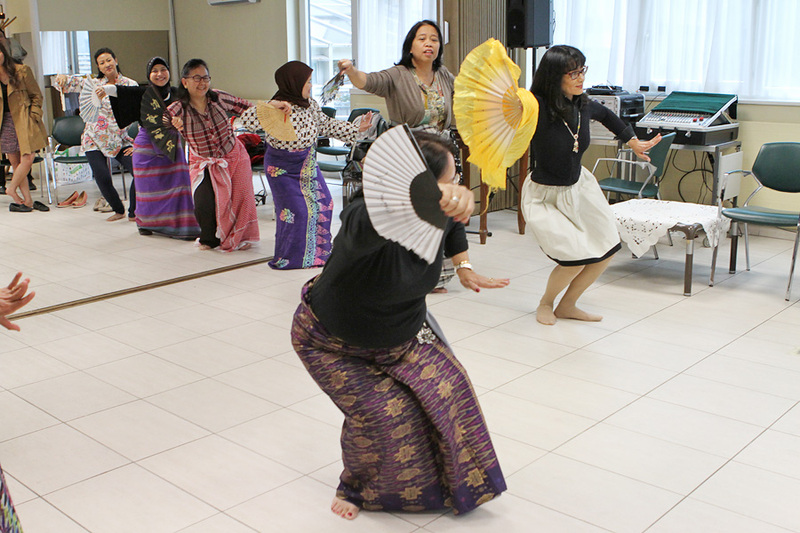 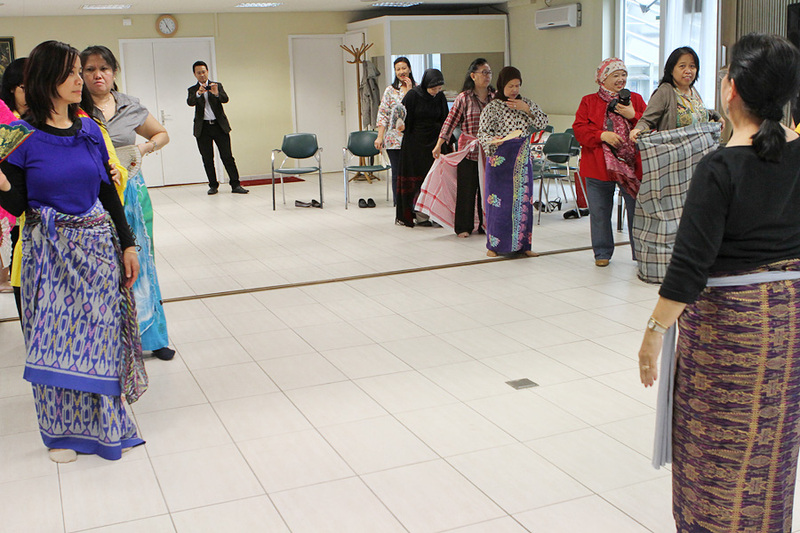 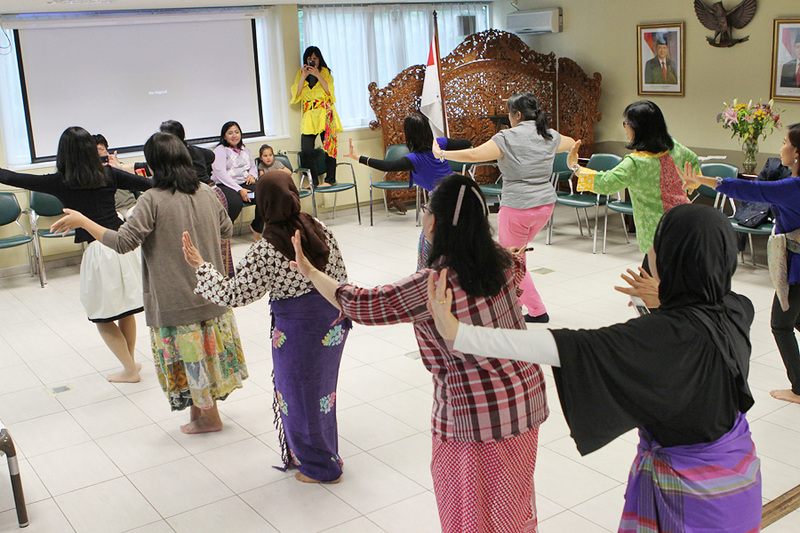 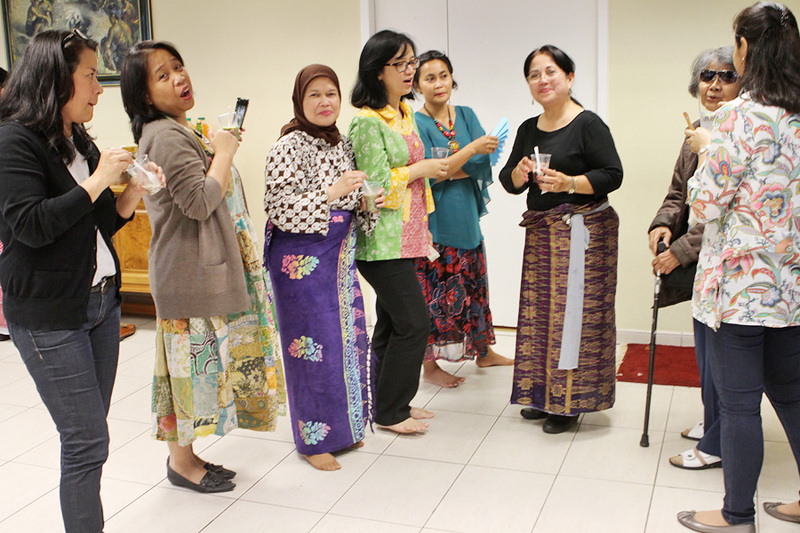 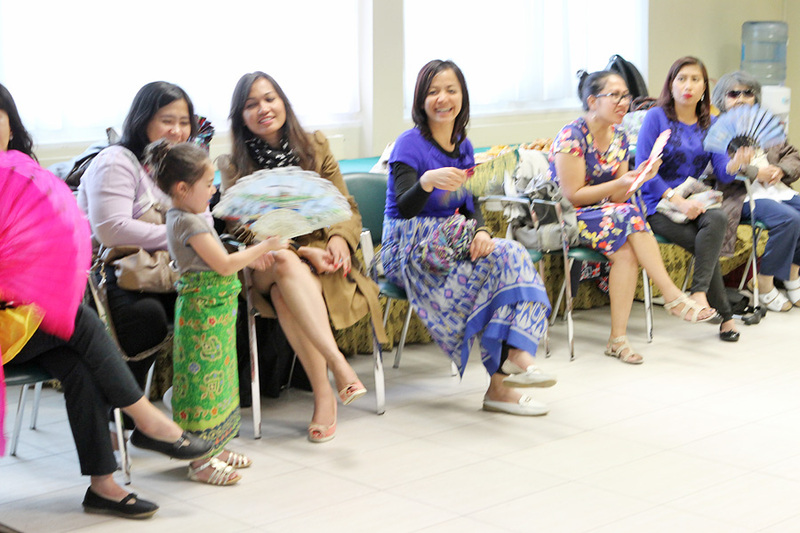 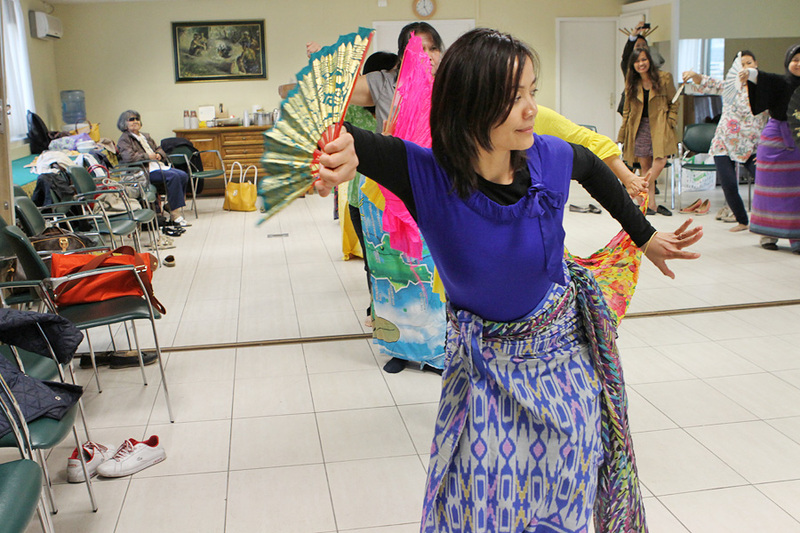 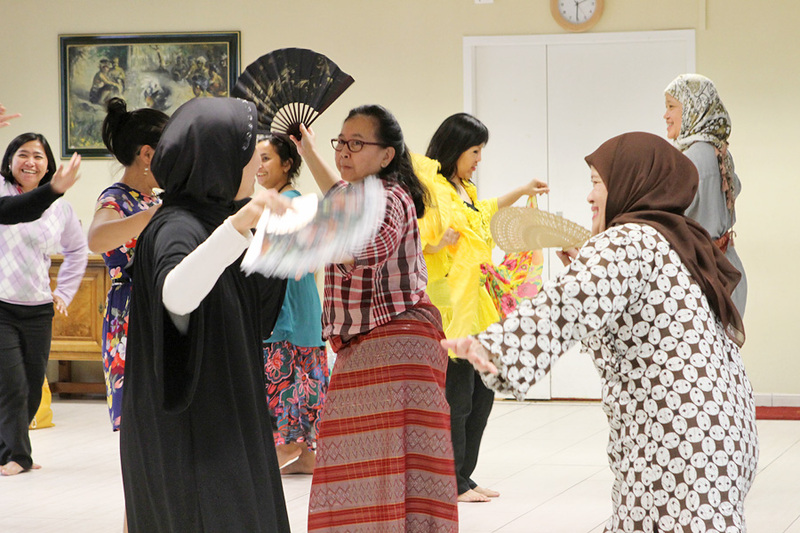 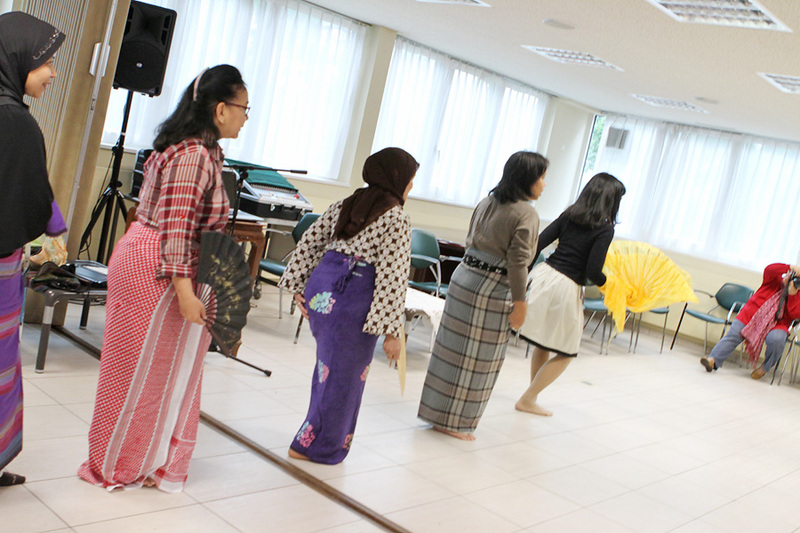 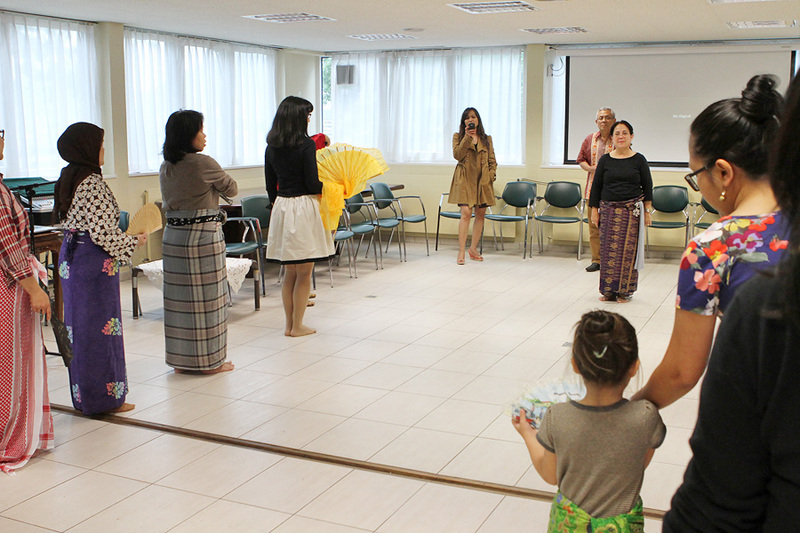 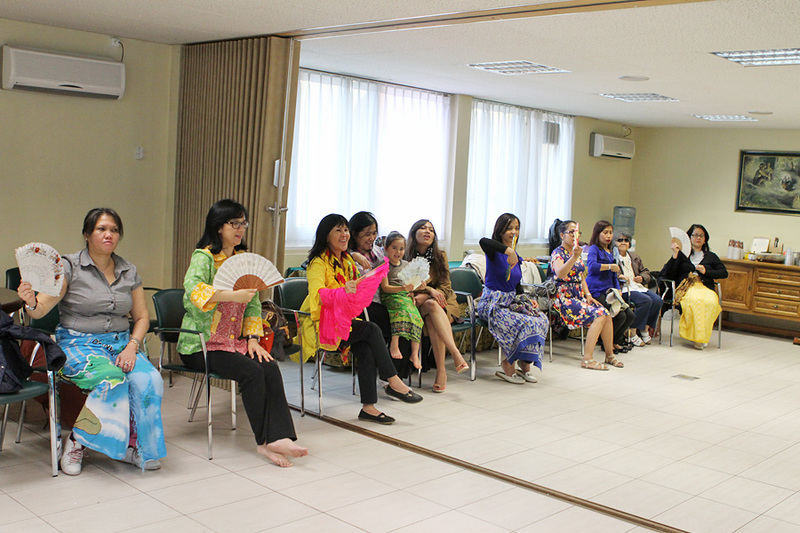 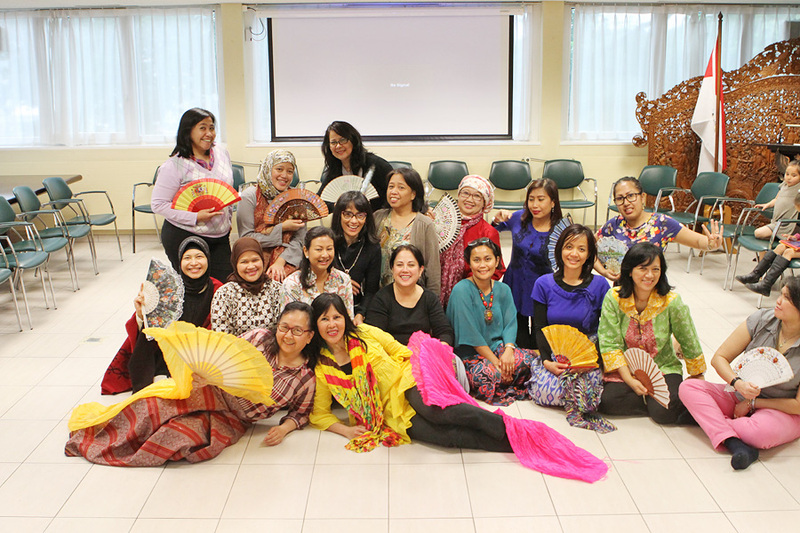 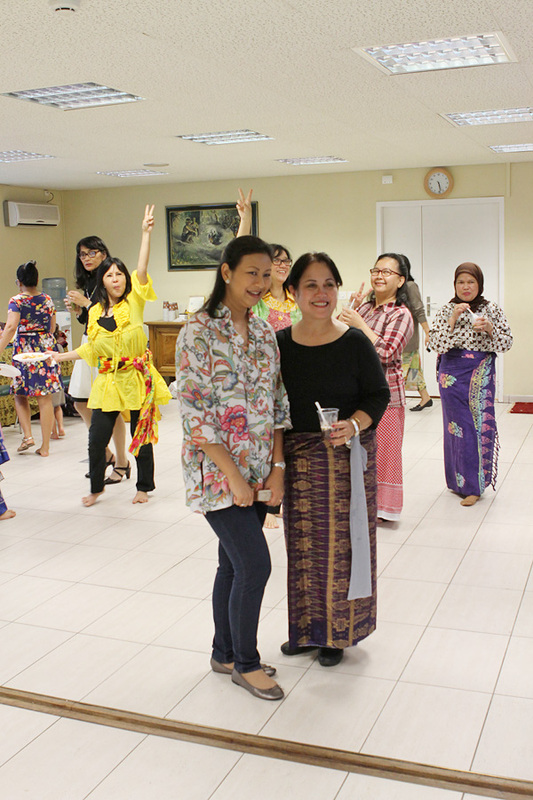 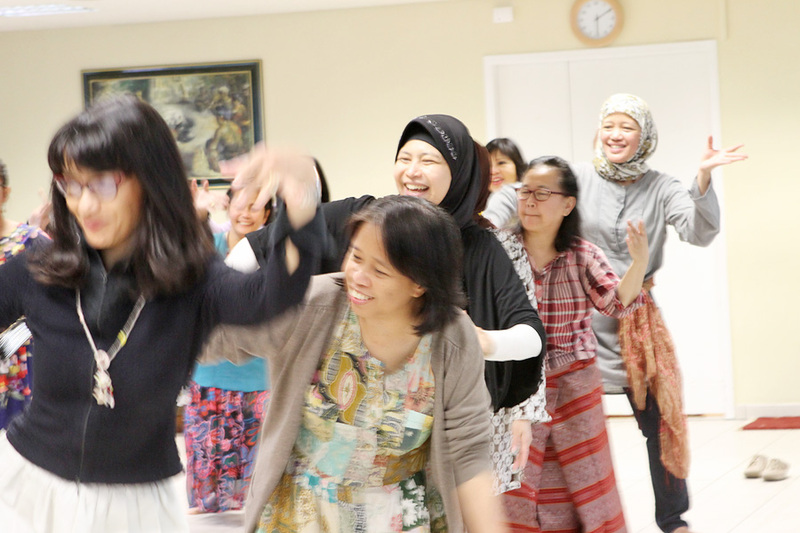 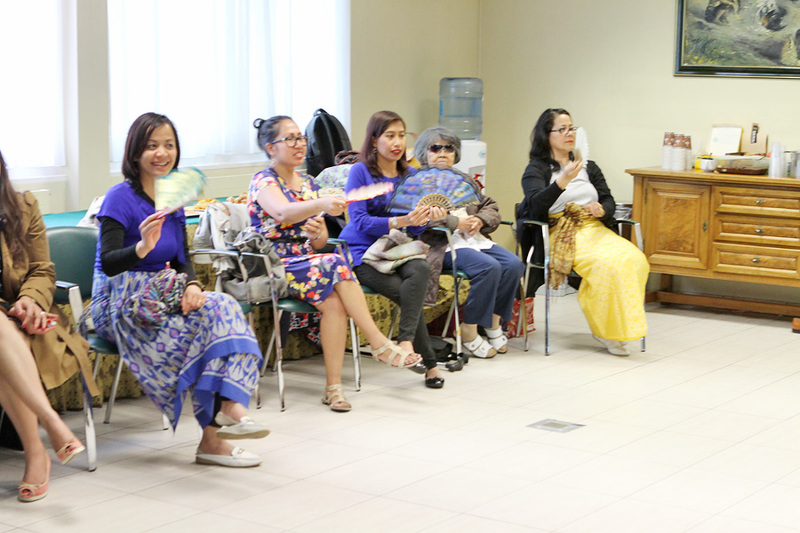 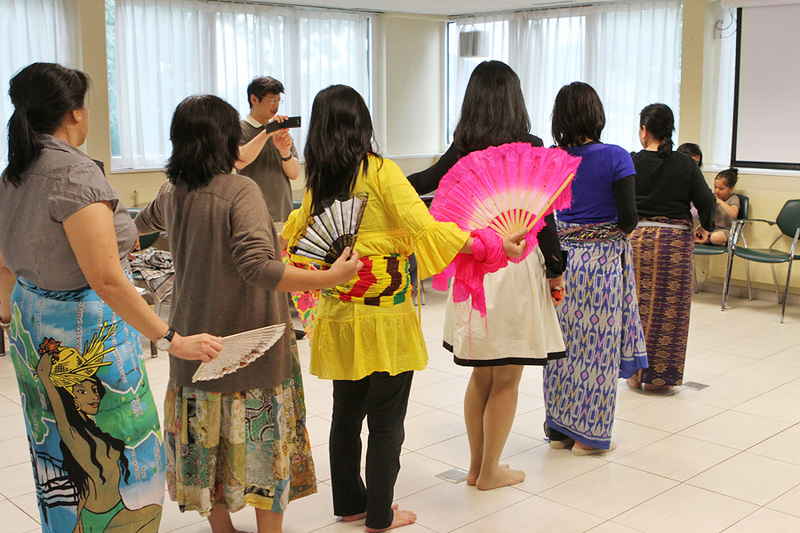 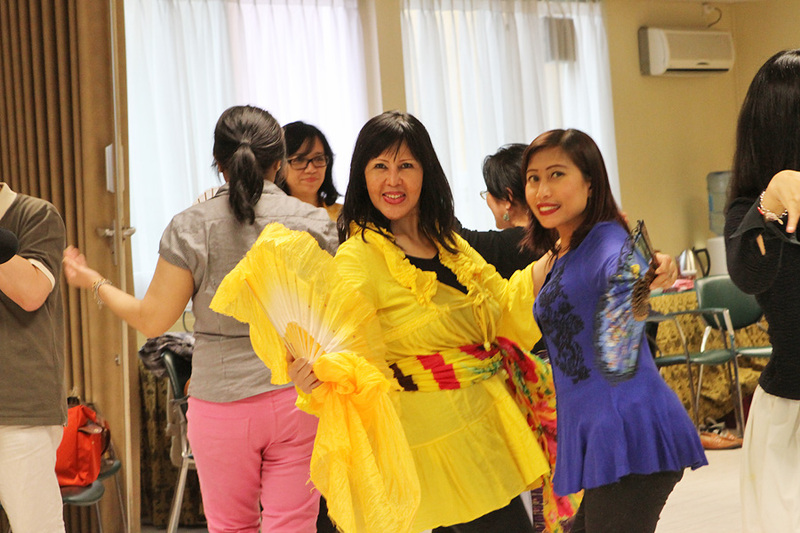 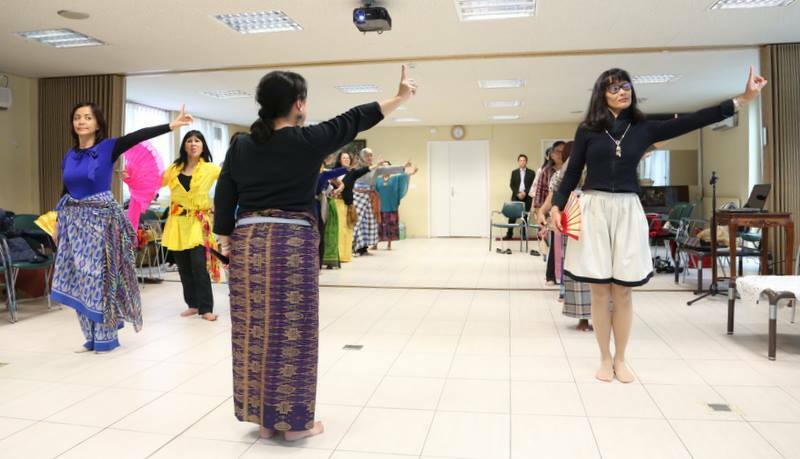 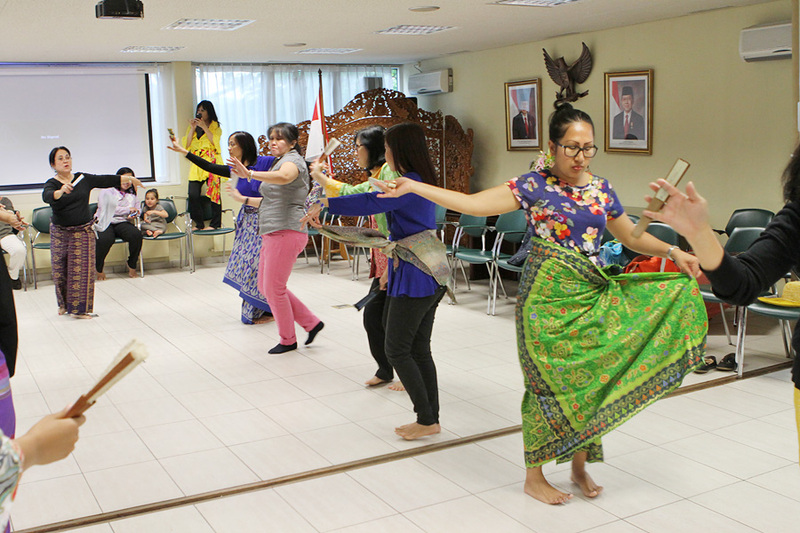 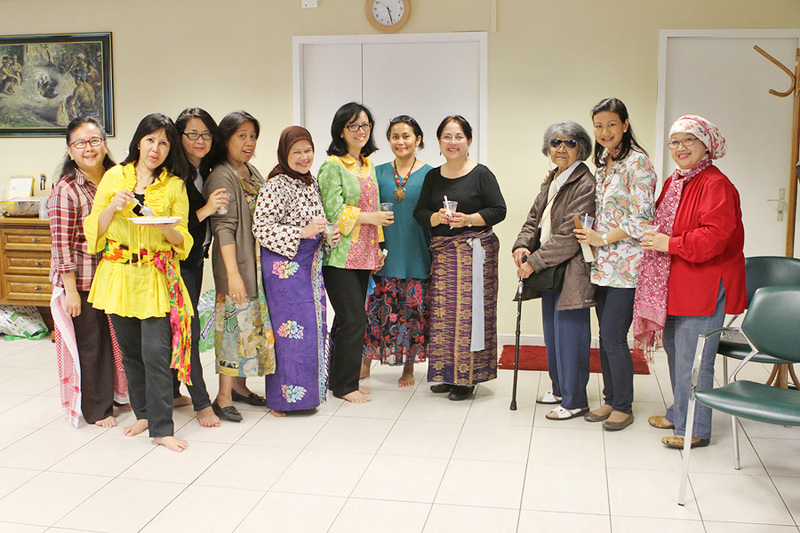 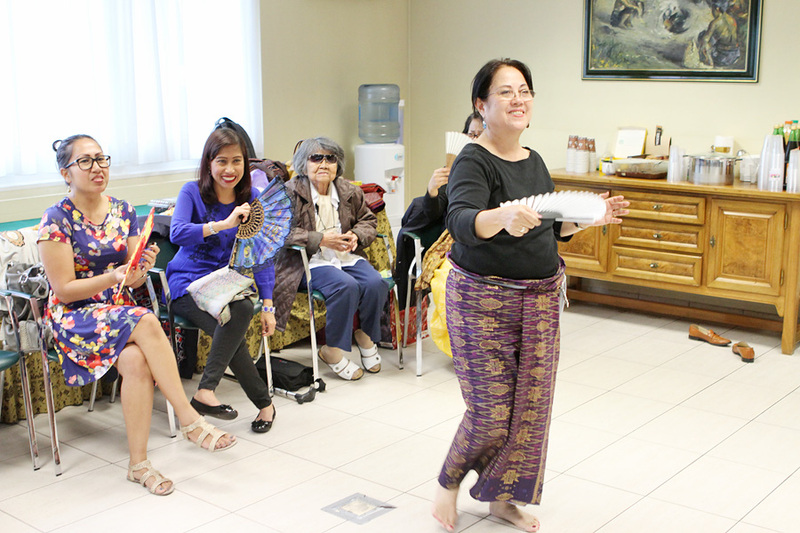 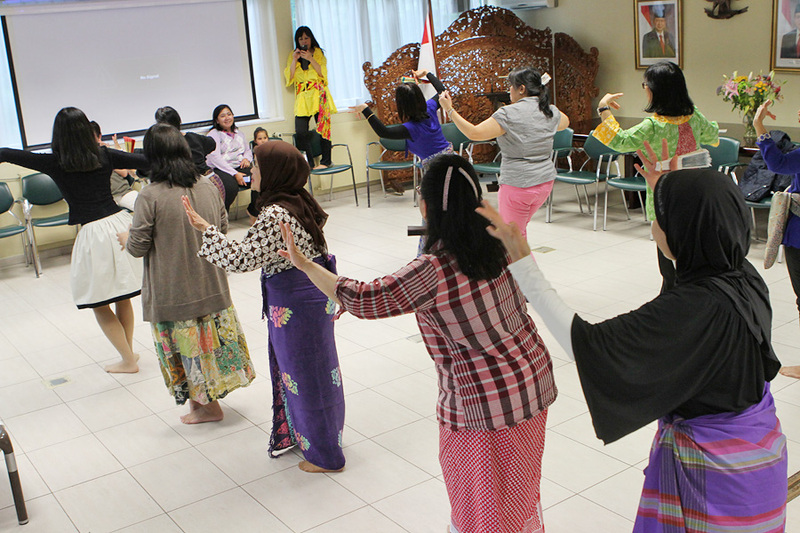 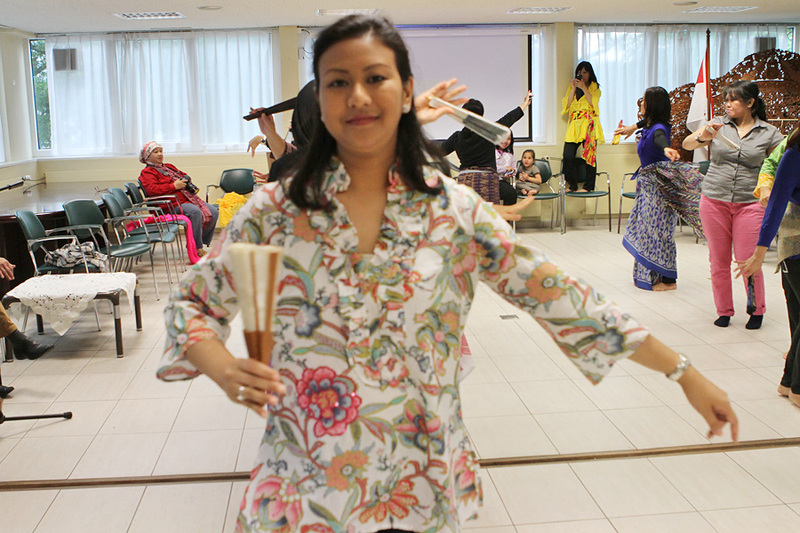 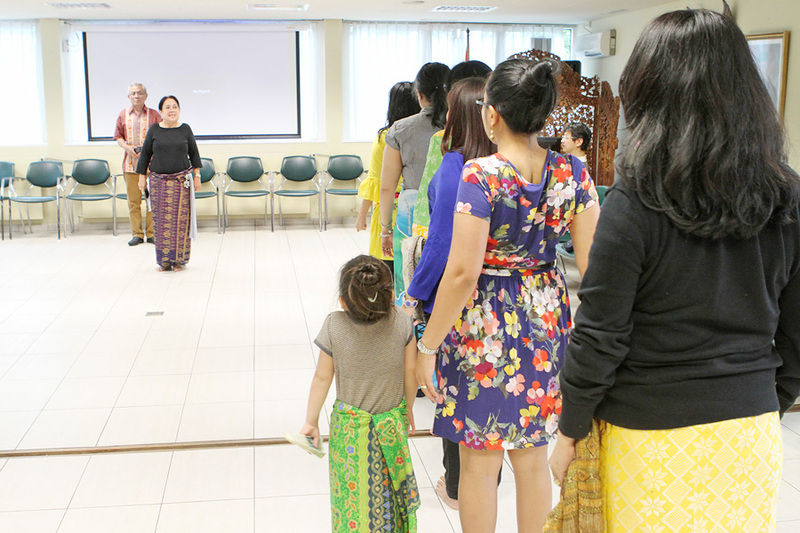 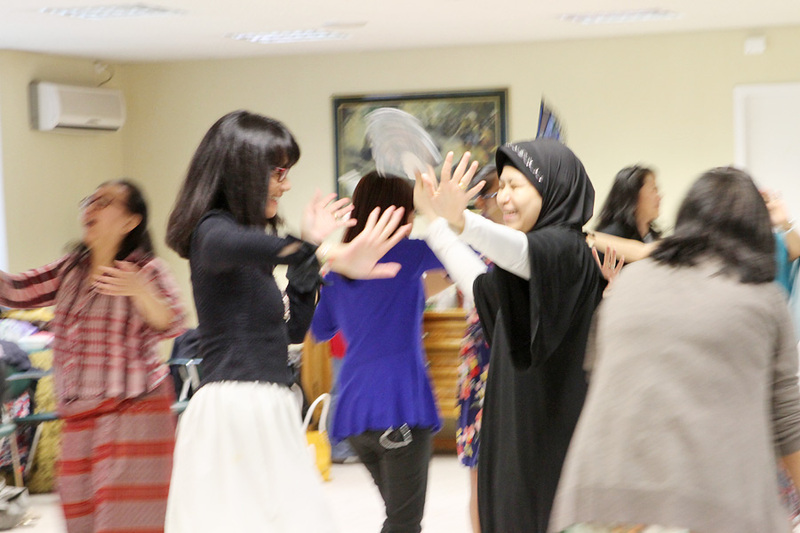 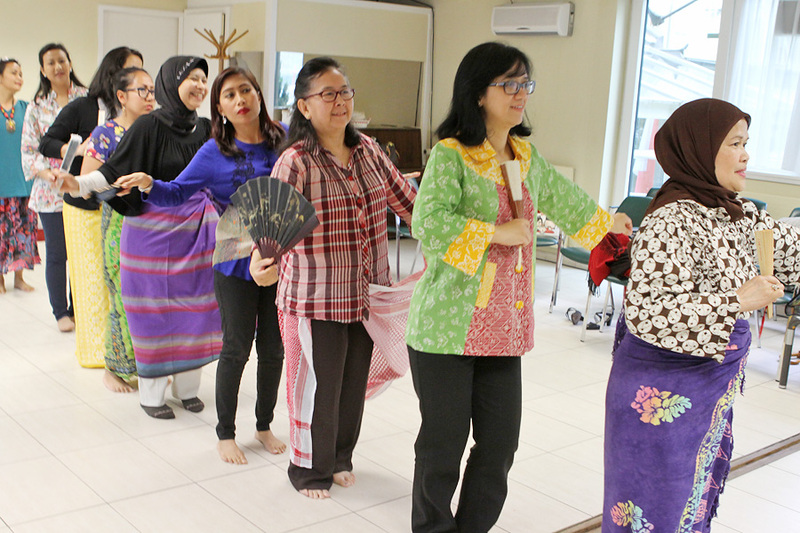 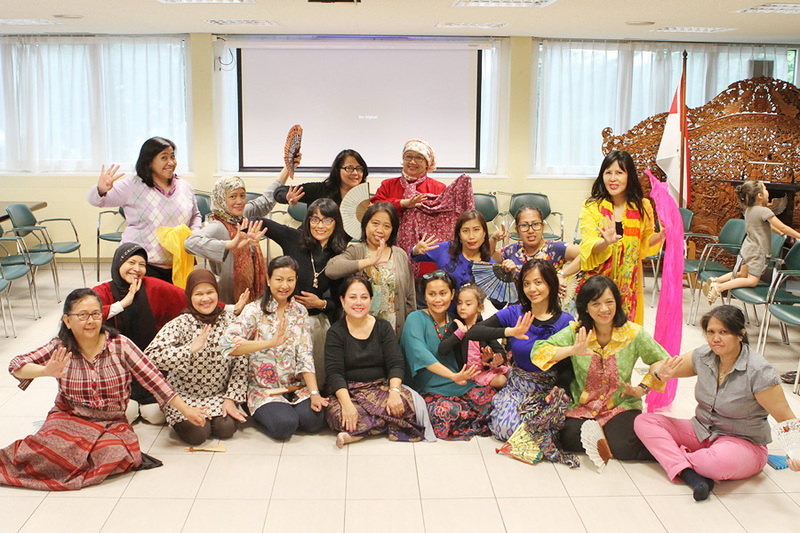 On 9th of June 2013, AIJ had been honored to have Biang Bulantrisna Djelantik taught about Bali dance at Nusantara room – PTRI, Geneva. 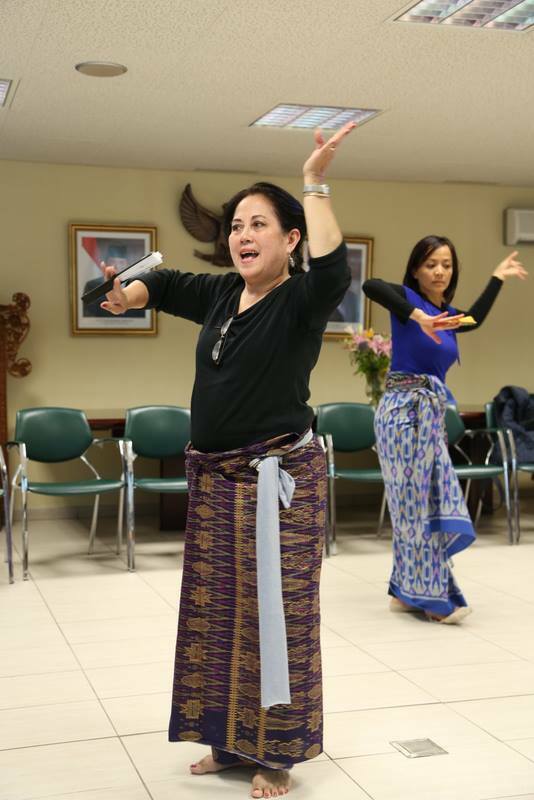 Bulanstrina is direct descendant of the king of Karangasem in Bali, and dedicates her work to preserving, protecting and practicing the Balinese dance form known as Legong dance. 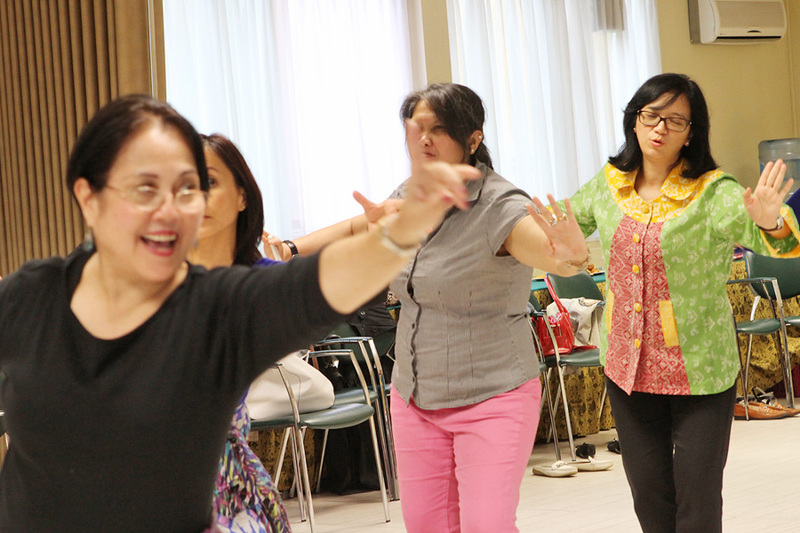 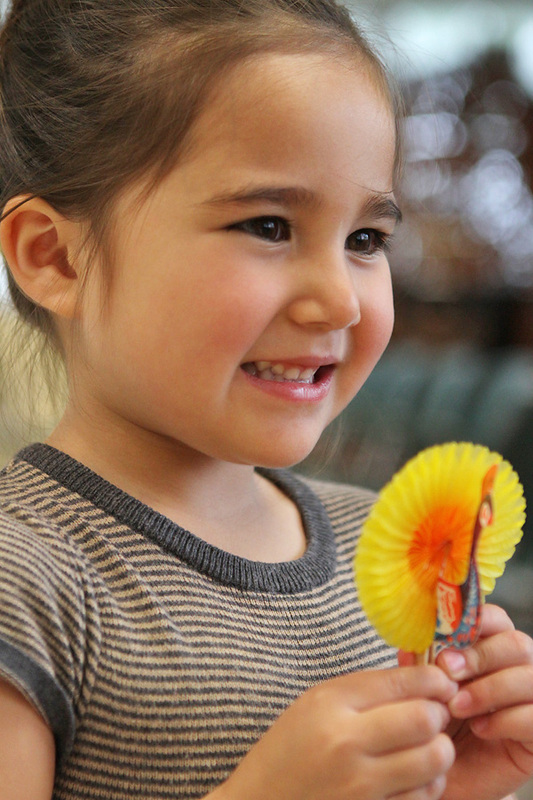 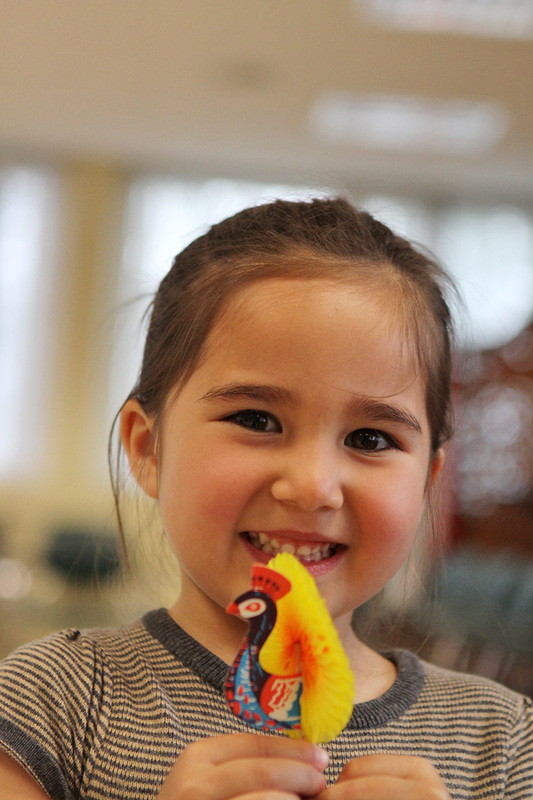 She had learned to dance since 7th years old, then she began learning legong when she was 9 years old. 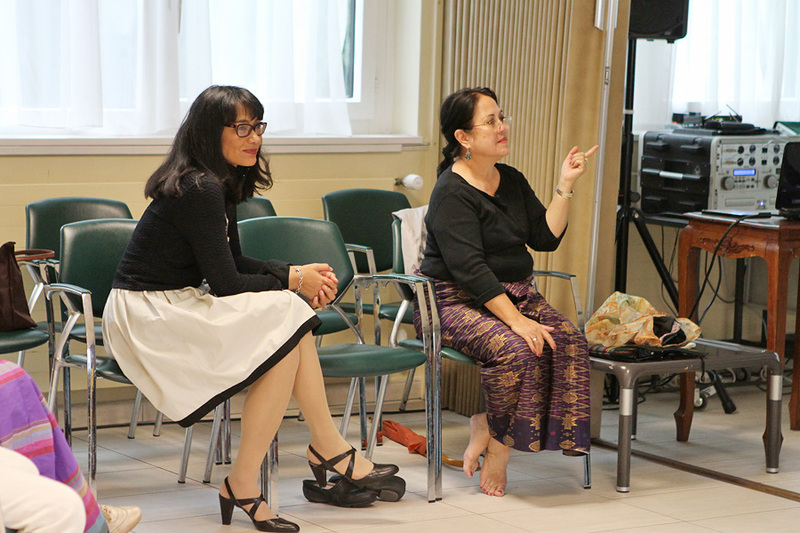 She came to Geneva for her work, as she is also a doctor and often comes to Geneva for WHO meetings. 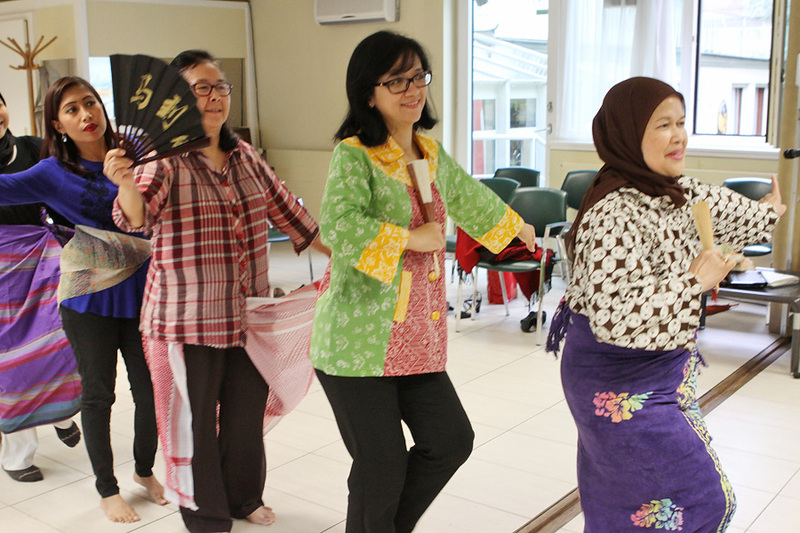 But in her spare time, she was willing to teach some members of AIJ some basic steps and moves of Bali dance, and of “Joged Bumbung” . 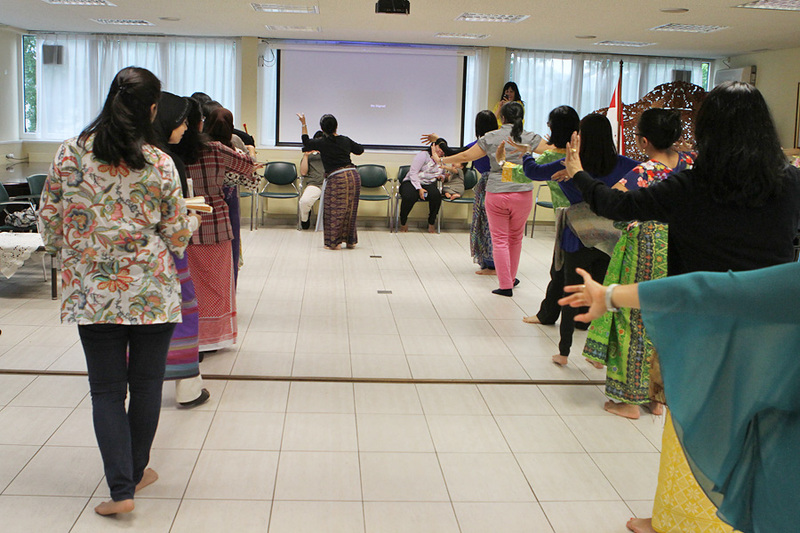 During the break she shown some slides about Legong dance. 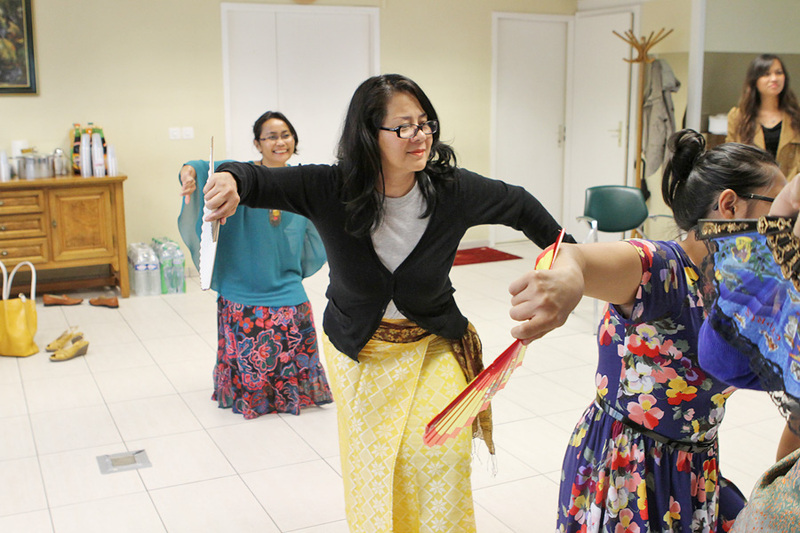 According to Bulanstrina, the legong is difficult to learn, but it is at the root of all Balinese dances. 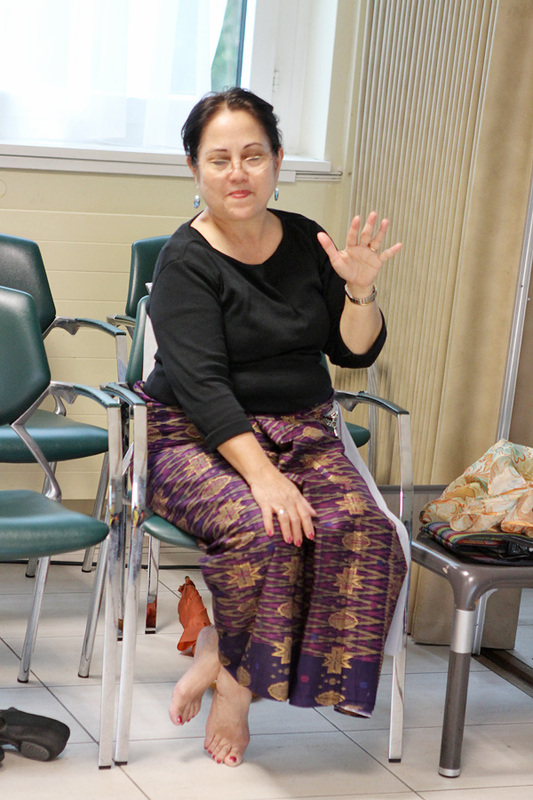 “I practice legong Peliatan,” Bulantrisna said referring to the region in Bali where she studied. 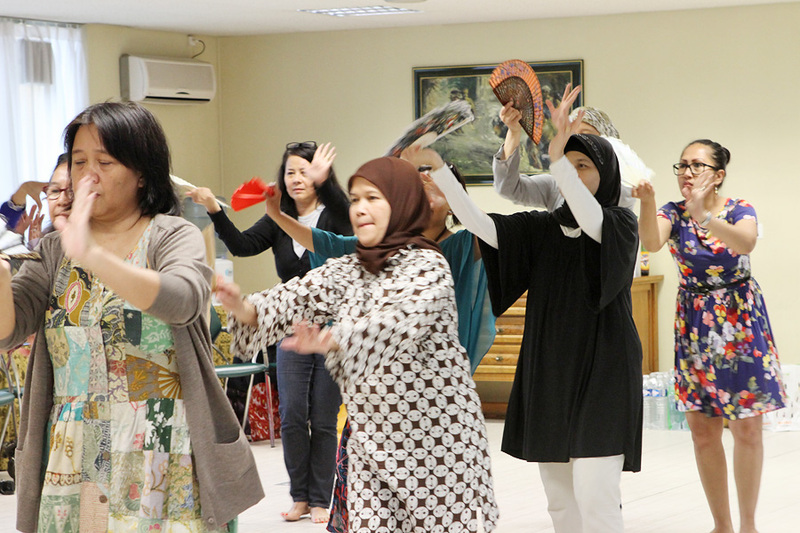 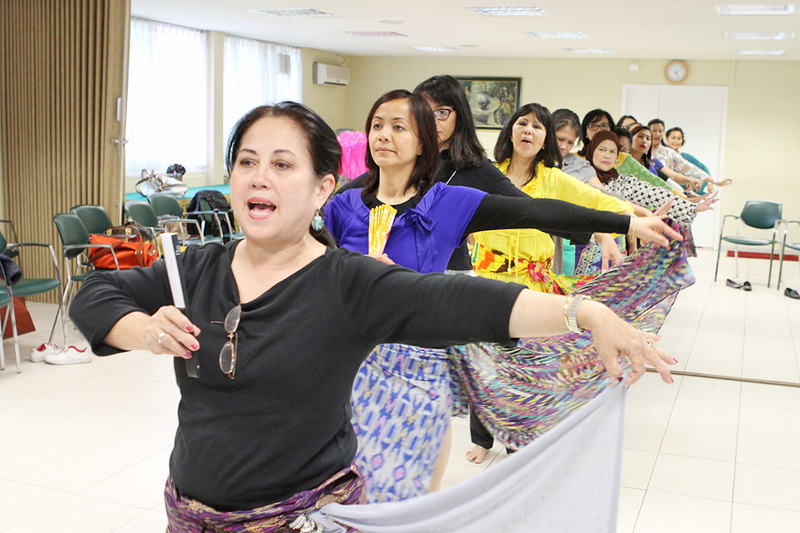 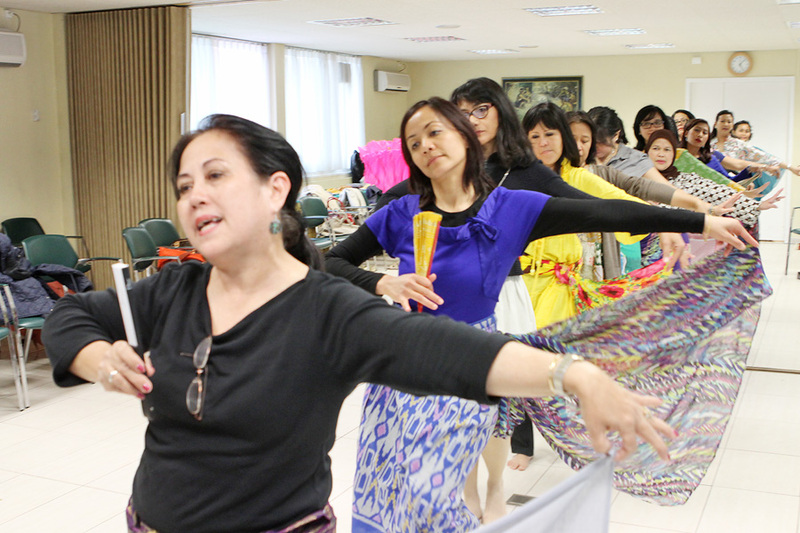 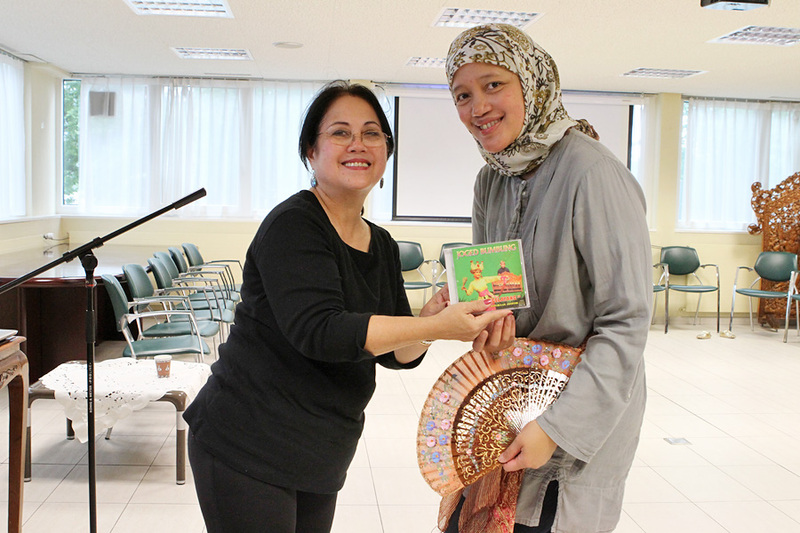 Her passion eventually led her to establish Bengkel Tari Ayu Bulantrisna, a dance workshop dedicated for young woman interested in learning legong, in Bandung in 1994, and another was opened in Jakarta. 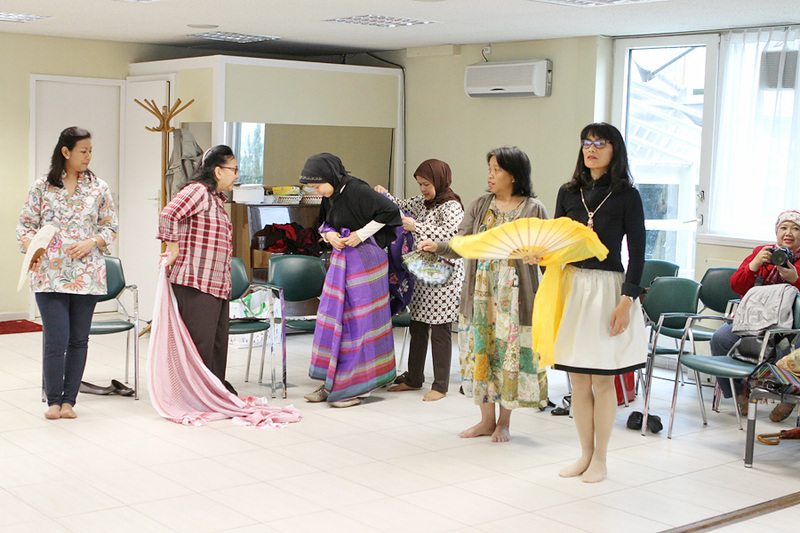 Bulantrisna is now collaborating with her fellow dancer and good friend, Retno Maruti. 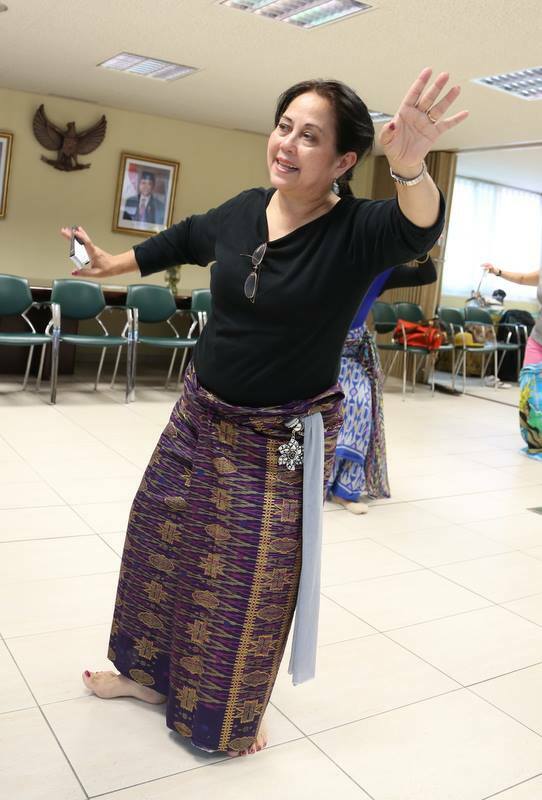 Maruti is well-known traditional Javanese dancer. 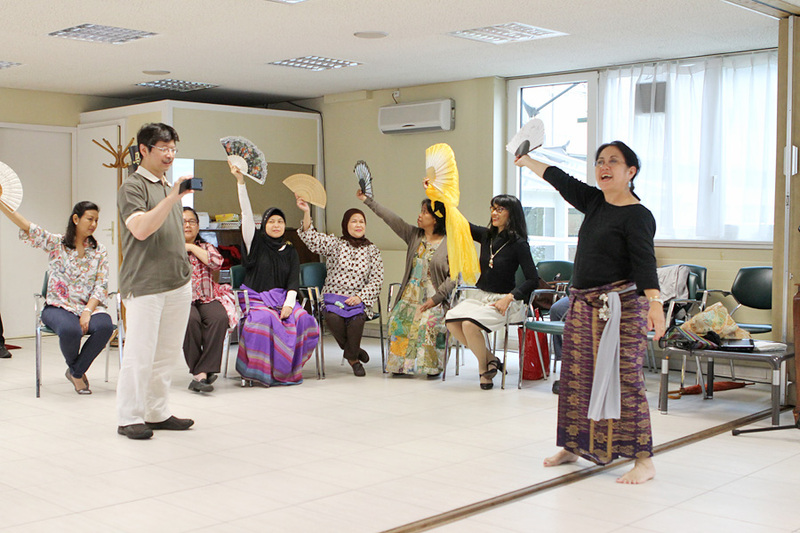 Both produced “Calonarang” that mixed Javanese bedaya dance and legong. 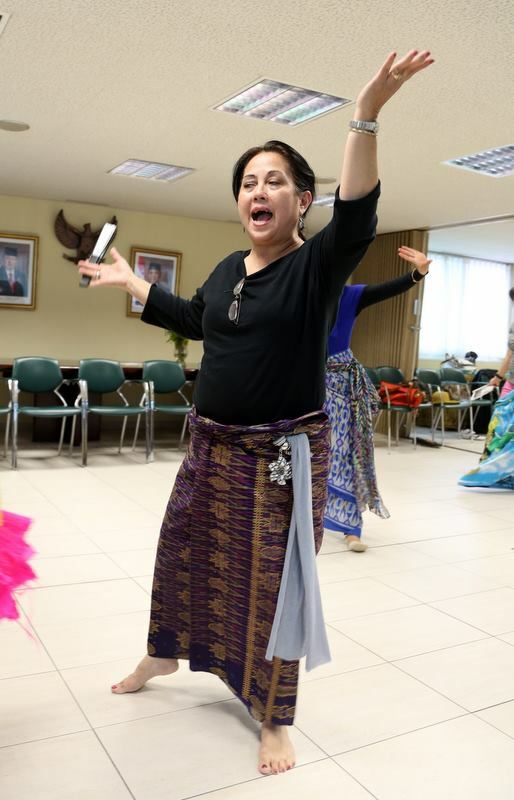 Currently she is also promoting to make nine traditional Balinese dances for recognition by the UNESCO as an intangible cultural heritage.